“Once again, violence has been spiralling out of control… It is easy to be distracted by dramatic events from the underlying issues that help to provoke them.” Our Senior Middle East Analyst Nigel Pearce explains why the issue of planning control should be higher on the international agenda. Once again, violence has been spiralling out of control in the Israel-Palestine conflict, putting at even greater risk the possibility of a just two-state solution – which The Elders continue to believe is the optimal outcome. It is easy to be distracted by dramatic events from the underlying issues that help to provoke them. 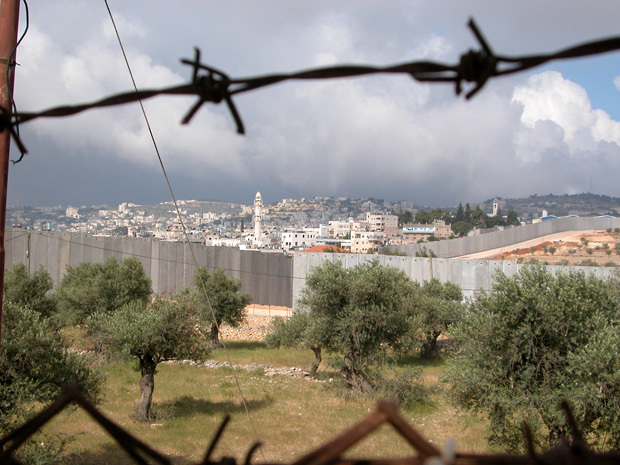 This week, the 10th anniversary of the International Court of Justice’s (ICJ) opinion that construction of the Israeli separation barrier was ‘contrary to international law’, is a timely reminder that planning control over land use is one of those underlying issues. ‘Planning policy’ sounds dull, but it isn’t. While it should ideally facilitate the impartial reconciliation of competing claims to use of land, in both local and international politics it can quickly become as emotive as invasion or liberation. – Fourth Geneva Convention (1949, ratified by Israel in 1951), Article 49. In 1879 Henry George, an American philosopher who wrote about the value of land, published an unlikely bestseller entitled Progress and Poverty, which sold three million copies and was translated into a dozen languages. In it he wrote: “The ownership of land is the great fundamental fact which ultimately determines the social, the political and consequently the intellectual and moral condition of the people.” He might have added ‘economic’ to that list of adjectives, if the word had been in more common usage in that sense in the 19th century. – Fourth Geneva Convention, Article 53. Israel has also refused to rescind its illegal annexation of East Jerusalem, where it enforces planning controls far more strictly on the Palestinians than on the Jewish population. The result is the near impossibility for the Palestinians of obtaining planning permission for anything in Area C and East Jerusalem. Meanwhile, the Israeli government has effectively given carte blanche to its military, municipal authorities and the settler movement to appropriate and use much of the land, and its resources, as they see fit. Thus, settlements and infrastructure have proliferated and expanded; Palestinians homes and other buildings have been demolished (often for want of unobtainable permits) and their residents displaced; the separation barrier has deviated from the 1967 border far into Area C; and large swathes of land have been declared military zones or national parks closed to Palestinians, or otherwise confiscated. The past twenty years have shown that it does not matter whether there are peace negotiations in progress or not. As long as planning control remains solely with the Israelis, the momentum for further land grabs is and will be unstoppable. 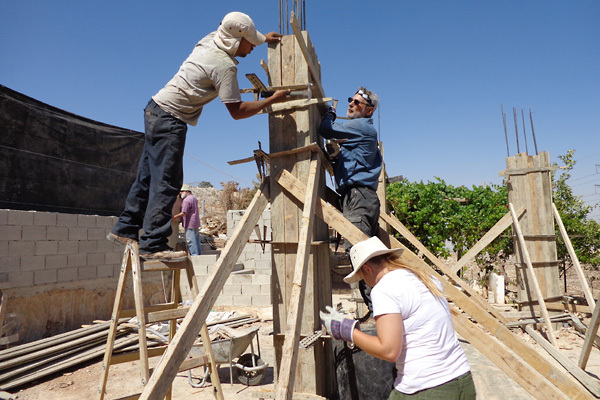 Nor are calls for a freeze on settlement construction any longer adequate. The land grabs should be reversed, not frozen, thereby restoring the viability of a contiguous Palestinian state alongside an Israel fully legitimised in the eyes of the international community. The only way to bring about such an outcome appears to be to wrest planning control of Palestinian land (as legally recognised) from the Israelis and hand it over to the Palestinians or, in the short term, to a third party that bases its decisions on international law. As a national and resident of the UK, I live in a society with its own shortcomings but one which guarantees most human rights and usually tries to consult or compensate citizens when the state intervenes obtrusively. Nevertheless, I still feel alarmed by the very idea of Compulsory Purchase Orders. CPOs are used by the UK national or local planning authorities to seize public or private property for what they consider to be essential development purposes – such as a new high-speed train line, airport or bypass – which they claim will have a net benefit for everyone in the society they serve. But my theoretical alarm pales to insignificance in comparison with the reality that the Palestinians in the West Bank and East Jerusalem are facing: an expansive Israeli planning monopoly with little or no redress. I would welcome your comments and views – how can we ensure that the international community recognises and addresses the injustice embedded in current planning arrangements?